This is beautiful, Maureen! 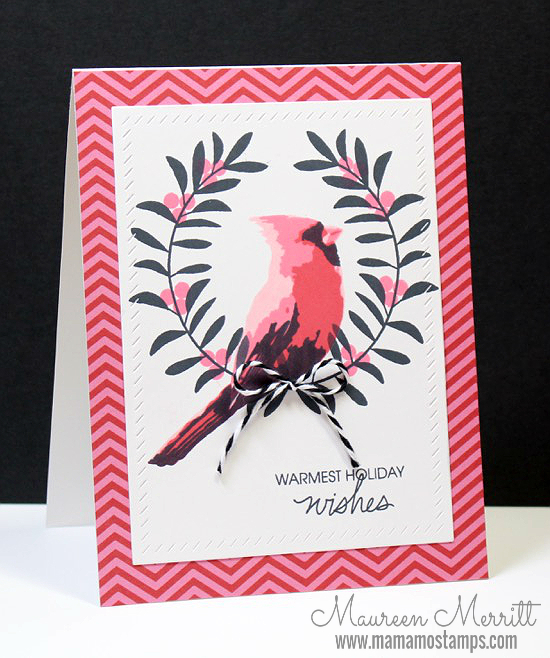 Love the pink and red, and that wreath highlights the cardinal perfectly! Oh, and I do think that it would look like a blue jay in shades of blue. Go for it!